Cycling sunglasses are essential for eye protection when you are riding, even if it’s not a sunny day. Cycling glasses also protect your eyes from flying debris like mud, branches and flies. Going fast downhill and having a bluebottle fly hit your eye is painful. If you are doing aggressive downhill and muddy trails, you might want to opt for mountain bike goggles. What are the best cycling sunglasses brands? In our humble opinion: Oakley, Tifosi and Julbo. These sunglasses’ brands all sponsor pro mountain bike riders and develop their products from extensive feedback. Note: We do not recommend buying cheap cycling sunglasses. These will be Chinese made and not manufactured to the same safety standards and quality as the cycling sunglasses we highlight below. What are polarized cycling sunglasses? 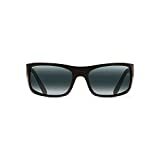 These sunglasses have polarized filters which reduce the amount of glare from surface light. See below for our dedicated list of the best polarized cycling glasses for mountain bike riders. What are wrap-around cycling glasses? Wrap-around sunglasses have curved lenses and frames which fully protect the entire eye area. What are Photochromatic cycling sunglasses? Photochromatic lenses darken as more light hits the lens, then lighten when light intensity drops. See below for our selection of dedicated photochromatic mountain bike sunglasses. Can you get prescription mountain bike glasses? Yes, Oakley does prescription lenses called Oakley true digital. Speak to your optician about these lenses, they should be able to order them in. 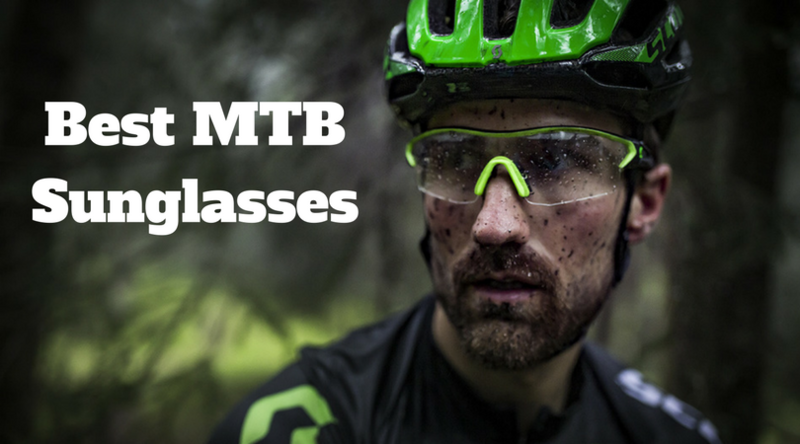 Can you buy just clear mountain bike glasses? Yes. Many of the mountain bike glasses we recommend below have interchangeable lenses and come with a clear lens. Oakley is the biggest brand in sports sunglasses. Established in 1975 Oakley is a California based company which has grown from a garage business into a multinational company. Oakley now provides standard issue sunglasses to the US military and police force. Oakley sunglasses are loved by the mountain bike industry due to the quality of manufacturing. They are extensively tested for high impact collisions. We love these Oakley Jawbreakers due to the thick rims, they are almost like goggles. Offer 100% UV protection. EVZERO PATH is a frame that is built for speed and multi-sport functions. Lightest performance sunglass that has a toric sheild. The Oakley Evzero’s have large lenses for big eye protection with a minimal look. These also have a very thin arm which fit perfectly under mountain bike helmets. The prizm range is much loved by pro riders. Tifosi is an Italian sports eyewear manufacturer which specialize in running and cycling sunglasses. The Tifosi Podium glasses are a great pair of mountain biking sunglasses as they have a fully adjustable nose piece. They also have adjustable eat pads which means you can get just the right fit with your helmet. The pads also stop any slippage when you are hitting bumps. These Tifosi sunglasses come in five different color options. Note: Does not ship to the UK if you are one of our UK visitors. We like these as they are not full wrap around and can be worn when non riding. Julbo specializes in Ski goggles, but also have a great range of sunglasses. Julbo has been going since 1888, which is surely the oldest brand in sports eyewear. These lenses are super tough and made of an anti-ballistic material with an anti-fog coating. They come in three different colors. This month, one of there team, Titouan Perrin-Ganier, won the MTB XCE World Championships. Northwave started in 1993 producing MTB shoes and have progressed to offer a range of cycling accessories including cycling sunglasses. Northwave also sponsors a lot of pro riders in Road, enduro and XC races. These are very lightweight, but best used for casual riding. Bolle is a French sports eyewear company established in 1888. These cycling sunglasses have a lot of neat features for the mountain bike rider: fully adjustable nose piece, interchangeable lenses, and frames made from their thermogrip material. There thermogrip technology is made of a hydrophilic material which actually absorbs sweat to stop slippages. We also love the Bolle Vortex cycling sunglasses below. With over 400+ positive reviews on Amazon, these polarized sunglasses are perfect for mountain biking. These come in eleven different color schemes and available on Amazon’s store scheme. Smith Optics are a US sports accessories company that manufactures ski goggles, helmets, and sports sunglasses. These Smith sunglasses are perfect for mountain bike riders as they have an adjustable nose piece, interchangeable lenses which are polarized and ergonomically designed frames to fit under cycling helmets. The interchangeable lenses let you switch them out depending on the light conditions that day. Smith sunglasses also sponsor a lot of pro mountain bike riders so you know they take their product development seriously. Smith Optics also provides a lifetime guarantee on these mountain bike glasses. If you want Italian design and polarized lenses, then these are for you. These polarized lenses are also shatterproof, ideal if debris flies up into your face. NEW Sunsensor Photochromic Antifog Lens from cat 0 to 3: Innovative Technology , react consistently to light and UV rays - they darken from category 0 transparent ( indoor, foggy days, bad weather ) to grey category 3 sun tint ( outdoors, high brightness ), this lens adapts itself to changes in light - 100% UV protection. Lenses are decentered in order to avoid any optical distorsion. Bertoni has been in the sports eyewear market for the last twenty years. The Italian based company specializes in eyewear for motorcycling, cycling and running. 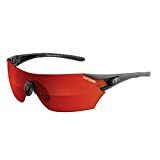 They offer great quality cycling glasses, like above, for a reasonable price. Similar photochromic lenses by Oakley would cost five times the price. They also offer unbreakable lenses according to their technology page. If you are not doing active rides and just need a cool pair of shades for casual riding, here are the top three trending sunglasses you can buy. Maui Jim sunglasses are super hot right now! These are semi wrap around to still give your eyes a decent amount of protection. Another awesome pair of sunglasses by Maui Jim which have had rave reviews. These have polarized lenses and come in five different colours.